Established in the year 2000, Liberty Petroleum Co. was designed to allow small distributors and individual station owners the chance to compete with oil giants across the region. The marketers at the largest retailers in the nation, such as Walmart, Costco, and Safeway, also pose significant obstacles for the small business owner seeking gasoline service in the area. All employees involved in our gasoline service – ownership, management, and the friendly staff – strive to provide nothing but excellent service. Your visit for gasoline service should always be pleasant and helpful. Our service was developed to offer the latest in fuel dispensing equipment, we accept all major credit cards, and we set prices very competitively, all to provide you value. Fueling up your car can be quite costly these days. The price of gasoline decreases for a month or two, and then begins to rise almost as fast. Right now, the price to fill your tank each week certainly starts to add up month after month. Most families are working with a tight budget, hoping to save where they can. 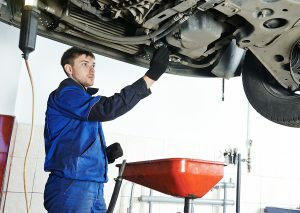 At Liberty Auto Center, we understand this need to budget and save better than anyone around. As a family-owned and operated business, we enjoy saving money too. Our goal has always been to offer affordable gasoline service to those in need. By combining our comprehensive vehicle repair services with the ability to fill up your tank, Liberty Auto Center has formed a full-service center. Small businesses, individuals, and distributors alike can benefit from the services offered by our team of expert technicians. Stop in today and take advantage of affordable prices. For questions about our gasoline service or to purchase your gasoline, stop by Liberty Auto Center or call us today at 240-686-6613 (Flower Hill) or 240-912-5625 (Redland). We would be happy to help you in any way possible.